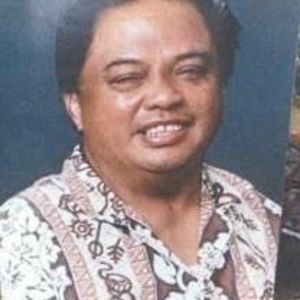 Juanito Pacleb Gonzales, Jr., 68 years old of Hanamaulu, Kauai, passed away on December 16, 2016 at his home in Hanamaulu, Kauai. Born on June 28, 1948 in Lihue, Kauai. Survived by his sister, Josephine (Steve) Morris; brother, Virgilio (Linda) Gonzales; daughter, Leilani (Andrew) Ojinaga; son, James (Rochelle Parras) Gonzales; four grandchildren; numerous, nieces, nephews & friends. Friends may visit with the family on Tuesday January 24, 2017 at Immaculate Conception Church on 4453 Kapaia Road at 10:00AM for a memorial mass to be celebrated.